Ultimate frisbee, a sport that found its home on the grassy quads of college campuses several decades ago, has just graduated. This spring, ultimate frisbee took a big pivot-step forward into the realm of professional spectator sports with the founding of Major League Ultimate, which is currently made up of eight teams nationwide and has been featured on ESPN. The inaugural season of Major League Ultimate is now coming to a dramatic close. On July 13, the San Francisco Dogfish and the Boston Whitecaps will face off at the University of Pennsylvania&apos;s Franklin Field in Philadelphia in the first-ever MLU Championship game. Yet even as the sport expands, some current players and fans are worried that ultimate frisbee is losing touch with its informal roots. According to the MLU website, the league&apos;s mission is "to bring ultimate to a world-wide audience by making it accessible and exciting for our fans, rewarding for our players, profitable for our investors, and productive for our partners." In pursuit of a larger audience, the MLU has adopted modified rules in an attempt to tailor the game for mass consumption. Traditionally, ultimate frisbee is played without a referee. Teams instead rely on what is known as the "spirit of the game" — a sort of honor system between players — in order to resolve conflicts on the field. The MLU rules, however, state that the 14 players on the field will be overseen by "at least five referees." "We wanted to simplify things on the field for the players and the fans,” explained MLU commissioner Jeff Snader in an interview with the Washington Post. "Referees prevent lengthy on-field discussions between players and move the game along." Moving away from self-officiation isn&apos;t the only significant change the MLU has made to the game. Whereas traditional ultimate frisbee games end when one team reaches a certain point total, the MLU has adopted time-regulated quarters, much like football or basketball. In addition, the MLU rules call for a larger playing field than is standard in order to make it easier for spectators to see the action. Tom Crawford, chief executive of USA Ultimate, the governing body of ultimate frisbee in the United States, says that such rule changes mean the MLU is playing a sport that isn&apos;t, by strict definition, recognized as ultimate frisbee. Nevertheless, the "spirit of the game" still runs deep in the MLU. In a recent game between the DC Current and the New York Rumble, a New York player approached the referees to call a foul on himself that the officials had missed. This remarkable event, which occurred at a high-stakes moment in the fourth quarter, demonstrates that good sportsmanship and ultimate frisbee remain inextricably linked, at least for now. So long as players can stay faithful to the game&apos;s competitive-but-civil spirit as they begin the transition to the big-time, ultimate frisbee is likely to have a bright future. "Those of us who gathered together to start this league know that ultimate is played by too many amazing athletes, features too many dramatic moments and produces too many incredible highlights to find itself on the sideline of spectator sports," reads the MLU website. "We understand the potential of the game and know that ultimate, properly presented, can be the next sport to grab the attention of the world." Image courtesy of Brandon Wu — UltiPhotos.com. 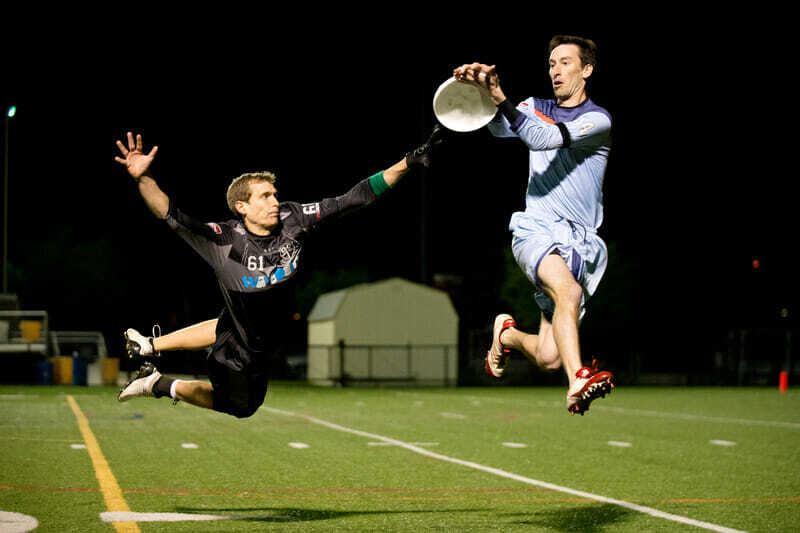 Gabe Grand is an editorialist for PolicyMic and an amateur ultimate frisbee player.